Jin-A is the former leader of idol group Purple, one of the first generation of girl groups in South Korea and also the most popular at that time. She now hosts the radio program "Wonderful Radio," but the program suffers from low ratings. The show's producer then takes time off to give birth. Her replacement is Lee Jae-Ik (Lee Jung-Jin). Jin-A is late for her first meeting with PD Lee Jae-Ik. Because of this, PD Lee Jae-Ik gets an unfavorable impression of Jin-A and their relationship soon turns worse. During the meeting, PD Lee Jae-Ik instructs the staff to create a new section for the radio program to increase ratings. Jin-A struggles to come up with a new idea for the radio program. Then, after listening to her mom sing, she suddenly gets an idea. Jin-A wants to invite regular people onto the show and let them read their own stories or letters. The guests will also sing during the segment. The new segment becomes a hit. Meanwhile, Jin-A attempts to resume her music career and sing songs like "You Are My Angel" that she wrote for her girl group Purple. A woman then introduces herself on Jin-A's radio program and insists that she wrote the song "You Are My Angel." Jin-A becomes flustered then angry. She even uses profanity while on air. 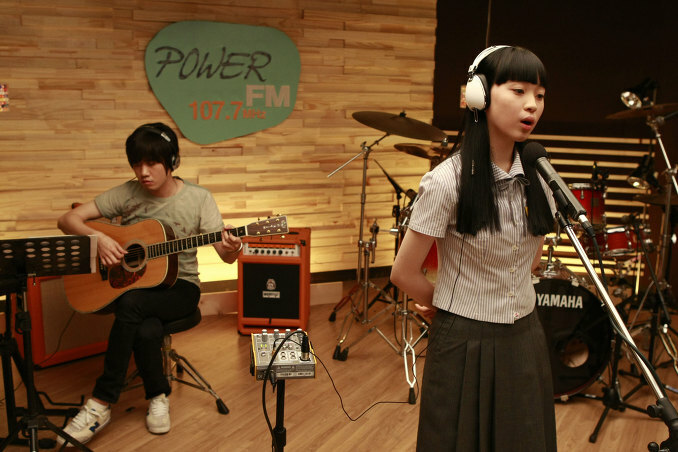 After the program Jin-A is kicked off the radio program. The public also becomes outraged by what they perceive as plagiarism on Jin-A's part. Can Jin-A ever revive her career? Filming took place from June 27 - September 18, 2011. "Love On-Air" opened #2 at during its opening weekend at the South Korean Box Office. Movie sold 314,978 tickets on 476 screens. By February 4, 2012 "Love On-Air" sold 950,793 tickets. Shangreipam siro Feb 07 2019 12:48 am I love it. ace Oct 30 2014 3:30 pm I found this to be a quite enjoyable film. There are, at least for me, some genuinely historical exchanges. "I threw up washing my pants" had me lol'ing so much I had to watch that bit 3 times. I GOT that bit. Been there. Done that, washed the pants and bought the new shoes....But lots of pleasant funny to be had. But genuine comedy aside. The romantic part was decently enough handled. Nothing felt overly contrived while it was happening. The leads looked good and riffed well. The antagonist was an idiot but did not go into cartoon villainy, so it had a ring of truth to it. The petty Machiavellian a-hole does exist. The secondary cast was fun to watch. They hit their marks and honestly made it look like they really were having fun. Visually speaking it actually surprised me with how well it was shot. Nothing too distracting. Yomi Apr 19 2014 2:18 pm It's 2012 movie. I like this movie very much. Because this movie so emotional. Sometime make us cry because guests story on Wonderful Radio. Laught a lot because of Lee Kwang-soo ssi. And it's also make us remember how we love someone. When i see this movie, my eyes can't move to other side. Just seeing all part of this movie. An love story about Lee Min-ji ssi and Lee Jeong-jin ssi so unics. I want to have love story like them.. hahah LoL. Irwan L Sep 10 2013 10:04 pm what the title of the song sung in the movie taxi driver? Jasper Aug 19 2012 8:21 pm I respect Ki's comment but I beg to disagree! The movie is not AMAZING but it was good! 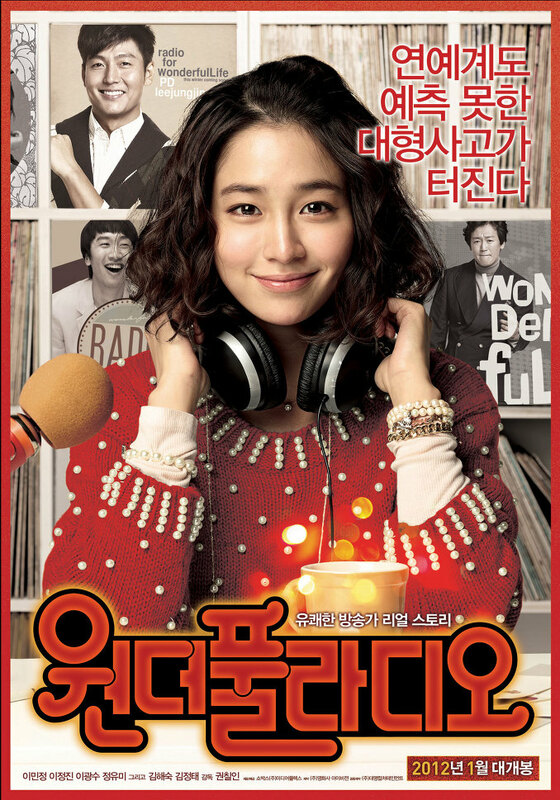 I haven't radio star but I think Love on Air is a good movie. Regarding Ki's comment - The touching scenes with the radio show guests felt insincere in LOVE ON-AIR and just too abrupt to elicit genuine emotions. -- I think what you mean is the 1st guest.. But the taxi driver father and student made me cry. I felt the emotion. Sometimes if we are watching the movie and we have already put in our minds that the movie is not good.. then no matter how good the movie is we wont be able to appreciate it.. I think what all of us need to do is have an open mind while watching a movie. This is a good movie and I highly recommend it. I like also the twist where in the radio host sacrificed her career to protect a friend's reputation.. It's something I didn't expect before the end of the movie. 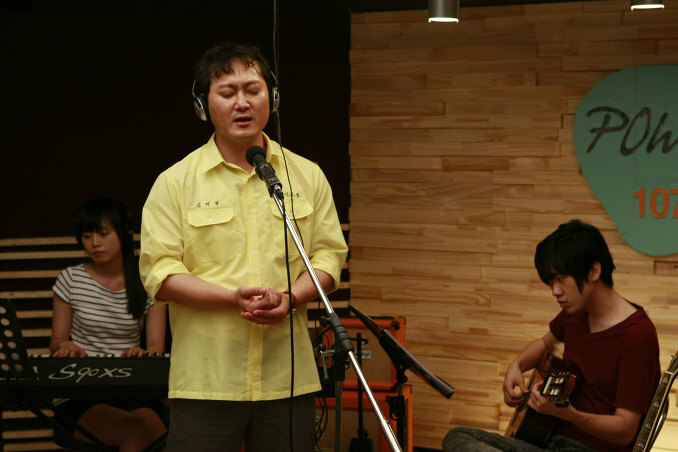 The songs the guests sang: Ja-Hyung (Jeong Man-Sik): I CHOOSE TO LOVE YOU by Zoo. SISTAR's Hyorin sang a version of this song too. Da-Hee (Jo Jung-Eun): FATHER by Insooni. iLLusiOnEr Apr 08 2012 2:30 pm Nice movie and songs in it. Can someone tell what song did Ja-Hyung(Jeong Man-Sik) and Da-Hee(Jo Jung-Eun) sing on that segment? Ki Jan 05 2012 6:24 am Must say LOVE ON-AIR turns out to be an extremely disappointing film. 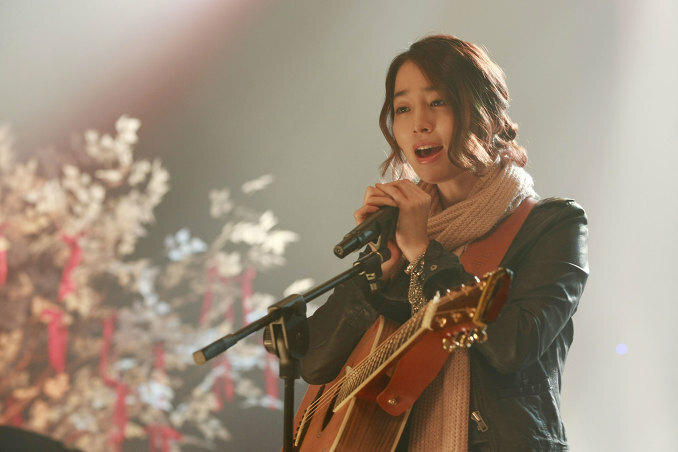 From the very beginning I didn't find actress Lee Min-Jung's performing convincing (it felt very forced) and lead male actor Lee Jung-Jin seemed completely miscast for his role. For whatever reasons I just didn't believe he was a radio show producer. The movie's storyline (at least for the first half) seemed very similar with 2006 movie RADIO STAR. A former pop singer works as a radio show host and they start to incorporate "touching" stories from readers. 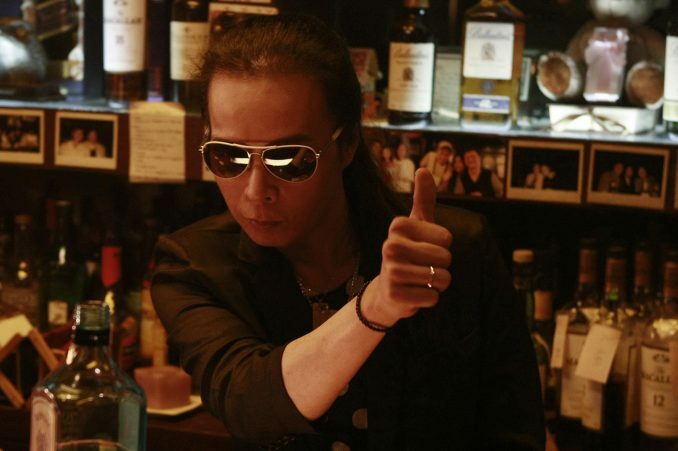 The primary difference between the two films is that LOVE ON-AIR seems to try to target the younger audience by emulating the style of movie director Kang Hyung-Chul ala SPEED SCANDAL. Unfortunately, this also didn't work. The touching scenes with the radio show guests felt insincere in LOVE ON-AIR and just too abrupt to elicit genuine emotions. The second half of the movie takes on a different approach and covers a pure pop music career comeback story and by this time I didn't really care. One postitive that movie LOVE ON-AIR did for me was to bring about more respect for Kang Hyung-Chul's prior films SPEED SCANDAL and SUNNY. 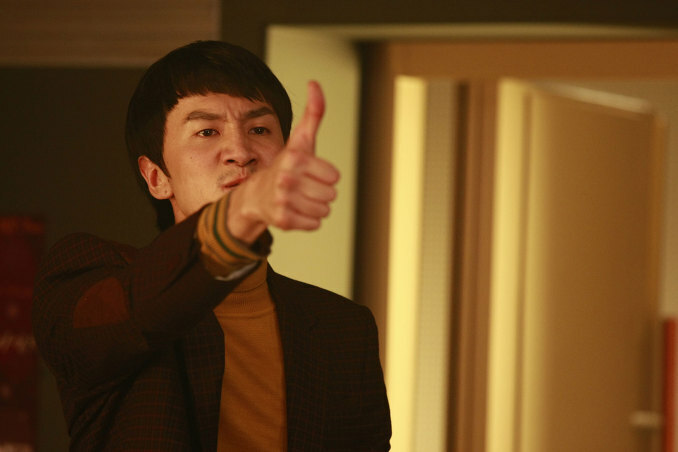 The way Kang Hyung-Chul effortlessly blends music with feel-good comedies comes off so smooth that at times it's easy to overlook the talent needed to make such a film. LOVE ON-AIR proves it ain't quite that easy. Very far from it really. LOVE ON-AIR seems to do everything wrong. Ouch!